Boil potatoes until cooked, but not mushy, rinse and cool. Add eggs, onions, and celery. Mix gently. In a separate bowl mix the remaining ingredients. Add to the potato mixture. Refrigerate 2-4 hours. Serve cold. This looks really good! 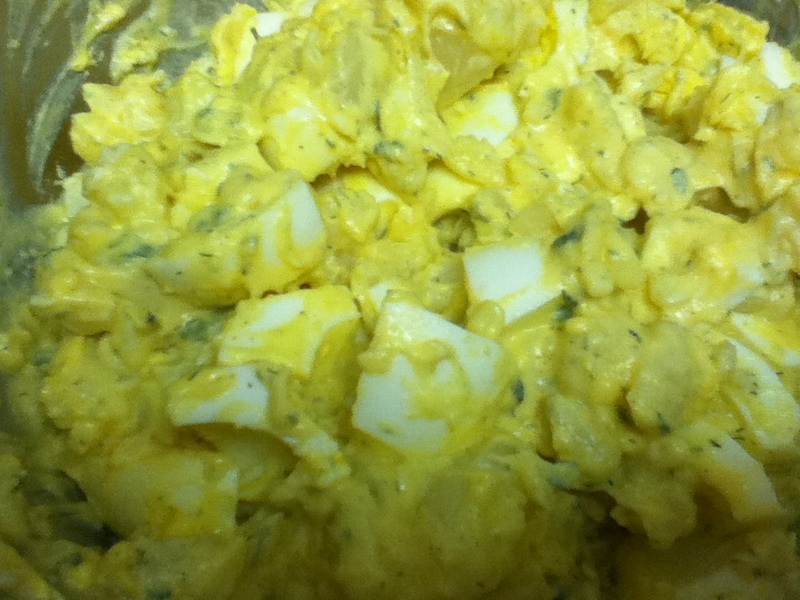 I love potato salad and trying out new variations. The honey mustard sound like a good addition! And it's gluten free too-perfect for my family! There is nothing better for any meal than a great Potato Salad. Your Potato Salad recipe looks delicious. My very best wishes to you and your family for a blessed Thanksgiving. Thanks for sharing with Full Plate Thursday and hope to see you again real soon!